VSM Engineering has worked on many plans and specifications for site construction. VSM worked as part of the team that provided project site design including water, stormwater, sanitary sewer and surface parking for this 18,500-seat, 650,000 SF arena complex. VSM designed the 12-in and 8-in combination fire and domestic water line to serve the Sprint Arena and adjacent NABC building. The project included a large meter vault and meter assembly including backflow prevention. In addition to completing the QC Review for grading and drainage of the 6 acre site, VSM created a separate plan set for mass excavation for the arena building structure and construction specifications for the project. 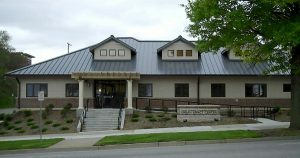 VSM’s work included demolition, a grading plan, site paving, stormwater study and construction specifications. 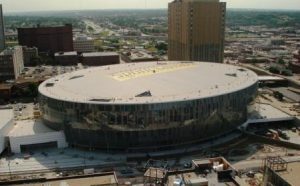 All Civil elements of the project were in compliance with AIA Master Specs and KCMO APWA specs. The stormwater study evaluation included determining the existing flows for the existing site and analyses were done to determine the flows for the site when newly developed. The impervious area for the site was actually decreased due to the new use of the site as a community garden and community center instead of its former use as a retail store and parking area. Grading was provided for a community garden in the back of the site. VSM Engineering is the civil engineer for the building site, parking and area storm sewer for this new building located north of Mexico City Avenue and Bern Street. The site includes two buildings structures totaling approximately 15,000 AF. The new facility will house offices and shops for the Facilities Structural division of the Aviation Department at the KCI Campus, including room for 30 private and 30 company operating vehicles. Required operations for the new facility include: shops for carpentry, metal fabrication, equipment repair and painting/finishing; rooms for parts and tools; O&M Warranty and File library; full-size plan sheet room; minimum of seven offices; a conference room; lunchroom; men’s and women’s lockers. An extensive site selection analysis was conducted; data for nine sites was collected and evaluated then criteria was determined, weighted, and evaluated. The criteria included available utilities, site slope, access, environmental considerations. 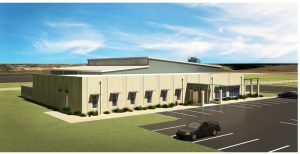 VSM Engineering completed 3.5 acres of site design including two asphalt parking areas, concrete parking, site grading for three buildings, storm water design, SWPPP, water lines and sanitary sewer line. Project will be submitted for LEED-NB Gold Certification. We offer a variety of civil engineering services for both public and private sector projects.